We develop and license enabling technologies that are at the heart of consumer OLED products worldwide, from smartphones to TVs to lighting products. With a comprehensive patent portfolio and technical expertise, we license our state-of-the-art OLED technologies, sell proprietary UniversalPHOLED materials, and provide customized technology development and transfer services for our display and lighting customers. We believe that our extensive portfolio of patents, trade secrets and non-patented know-how enables our leadership position in the OLED ecosystem. 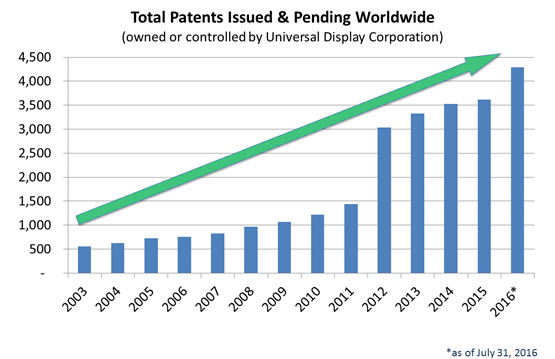 With approximately $500 million invested in OLED research and development over the past two decades, Universal Display has built a robust global patent portfolio of over 5,000 patents issued and pending worldwide*. 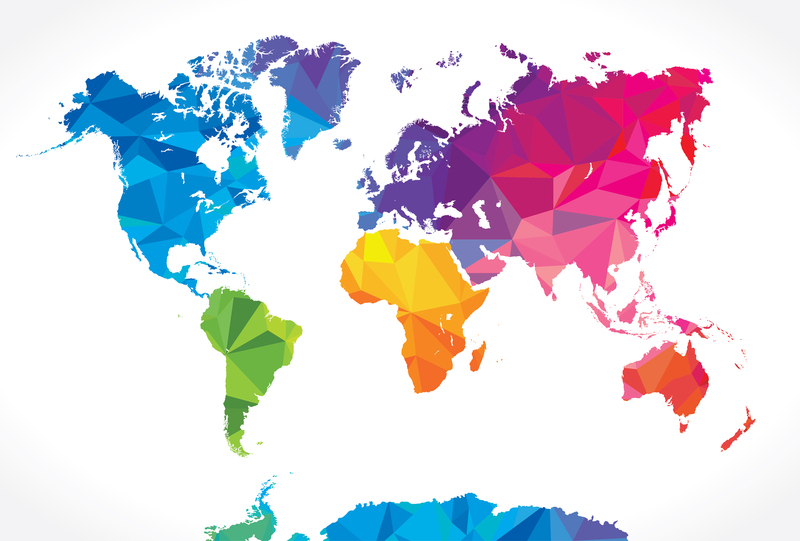 Around the world, we are working to advance our phosphorescent OLED technologies and materials to meet our customers’ roadmaps for existing and future products, including flexible displays, TVs, and energy efficient lighting. We are making continued progress on strategic programs, including new and next-generation red, green, yellow and blue emitters and hosts, as well as expanding our core competencies of phosphorescent OLEDs (PHOLED) and other OLED technologies including OLED manufacturing processes and equipment. These R&D innovations allow us to further bolster our global OLED intellectual property framework. Additionally, in 2012, we acquired the entire worldwide patent portfolio of more than 1,200 OLED patents and patent applications from Fujifilm Corporation, and in 2016, we purchased BASF’s OLED IP assets, which consisted of more than 500 issued and pending patents in the area of phosphorescent materials and technologies. We also continue to accumulate valuable non-patented technical know-how relating to our OLED technologies and materials. We license our technology, on a non-exclusive basis, to a network of Partners, mainly leading display and lighting panel manufacturers. A listing of UDC’s U.S. patents can be found on the U.S. Patent and Trademark Office website. A list of UDC’s European patents can be found on the European Patent Register.